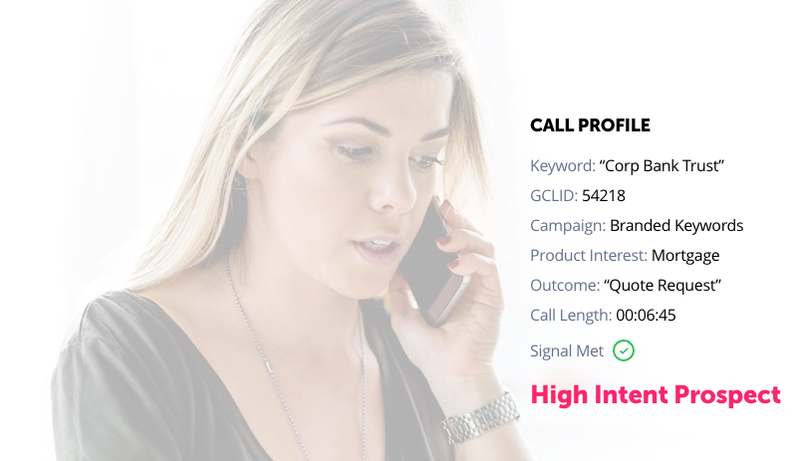 We offer real-time conversational insights for inbound calls in a product called Signal AI. That offering includes Custom Signals, where you establish those insights, tailored to your unique business need, by training our AI models with your own business’ data set. When you provide us with labeled training data to build an AI model, we use a machine learning algorithm to identify the patterns in your data. We then apply these patterns to future, unlabeled examples in order to make predictions about them. 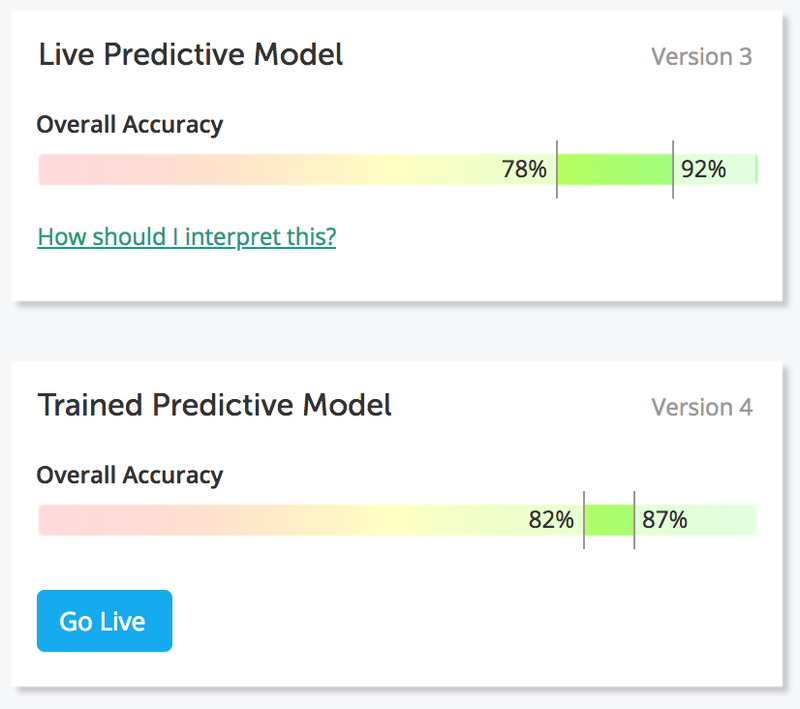 Since we can’t know a priori how accurate this machine learning model will be, we withhold a fraction of the data for testing it: we train the model on 80% of the data and then test its performance on the remaining 20%. Since we know the correct labels for this last 20%, we can compare our predictions with the known labels to assess our model’s accuracy and to estimate how well it will perform in the wild. To understand why these three numbers differ, imagine a very crude “purchase made” model which simply predicts false every time: it would have a terrible true accuracy of 0%, but a seemingly-excellent false accuracy of 100%. Moreover, if purchases occur on only 10% of the calls, the overall accuracy would be 90%! Though this hypothetical model is arguably not very useful — it would never correctly identify a purchase — its performance might look good according to these metrics. This represents a key problem with our old accuracy scores: while they’re technically accurate, they can be hard to interpret. To provide another example: suppose we have a new (and much improved) “purchase made” model for which the true accuracy, false accuracy, and overall accuracy are all 90% — that is, whenever a call comes in, whether a purchase was made or not, our model has a 90% chance of correctly predicting its outcome. If you were to listen to 10 calls which the model flagged as purchases, you might therefore expect 9 of them to be correct…but unfortunately this isn’t the case! If the conversion rate is 10%, then only about half of this sample would be correct! This unexpected result happens because purchases in our imagined example are inherently rare: for every purchase made, there would be many more calls which didn’t result in a purchase. Even though we have a 90% false accuracy in this example, since there are so many non-purchases we’d nonetheless expect a number of false positives. If you run through the math, you’ll see that for every true purchase we correctly identified, we’d also expect roughly one call which was falsely flagged as a purchase. For this reason, rare events are inherently difficult to identify, and you need an extremely accurate model to find rare signals… to look for a signal that only occurs 10% of the time, you need a model that’s better than 90% accurate. If purchases only occur 5% of the time, you’d need a model with 95% accuracy, and so on. Our old accuracy score did not account for this added difficulty. Again, our old scores were not incorrect — in fact they are standard accuracy metrics for machine-learning models — but they can be confusing because they differ from what we colloquially think of as “accuracy.” We have developed an improved accuracy score which is a more intuitive representation of our models’ performance; we describe this new score quantitatively in section 2, below. Another confusing aspect of our old accuracy score is that it can be noisy. Recall that we can’t know the performance of our models a priori: we must estimate it using a fraction of the data withheld for testing. As a result, our accuracy estimates come with some uncertainty, which can be considerable for small datasets. For example, imagine a customer has a “purchase made” model with an accuracy of 91%. Hoping to improve this model, she uploads more training data and is disappointed to see its accuracy drop to 89%. This might seem surprising, but in fact, her model went from (91±15)% to (89±7)%… it very likely improved with the added data, but there was no way for her to infer that from our accuracy scores! which is commonly known as the precision. Since we assumed sales were rare in this example, there are more falses than trues, and consequently the number of false positives FP is greater than the number of false negatives FN. Consequently, the true precision p is lower than the true accuracy a, and the model’s performance on this task is lower than we might have anticipated at first.